HomeKeratosis PilarisI Have Chicken Skin on My Legs – Help Me! I was researching on some information because I have chicken skin on my legs. Well I did find out what it was and a natural treatment regiment to follow. I found out that my skin is not only an outer surface to look pretty, but its also a very important organ that protects my body from dirt, bacteria, infections, and other foreign substances such as ultraviolet rays that can have damaging effects on my skin and overall health. The skin is also very important as it help in regulating temperature and body fluids. Thus, it is very important to maintain healthy skin. Unfortunately, because the skin is the outer body cover, it is prone to several damages. Keratosis Pilaris is one of the common skin disorder affecting millions of people on the globe with a very damaging effect to the skin. You are fortunate though because you are in the right place for really good resources and natural treatments. 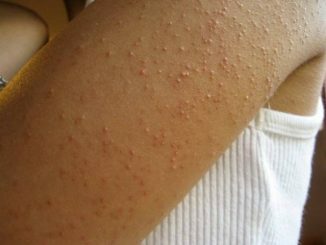 Keratosis Pilaris (KP) also known as chicken skin disorder is a popular skin condition affecting as many as one person in three. However, the condition goes unnoticed because the victims are embarrassed to wear clothes that may reveal the affected parts. It is known as the chicken skin condition because the affected parts resemble chicken’s skin. It causes small acne-like bumps and rough patches that appear on different parts of the body especially on thighs, cheeks, arms, and buttocks. KP bumps are usually white although at times they may appear red. What causes chicken skin disorder? KP is thought to be caused by the buildup of keratin under the epidermis layer of the skin. Keratin is a very important protein that protects your skin from infections and other harmful substances. Accumulation of keratin causes plugs that blocks hair follicle opening. As stated earlier, the skin is a very important organ with different roles such as protecting the body against infections. It also helps in regulating body temperature, but very important, it aids in getting rid of waste materials from the body. Once the hair follicle openings are blocked, the waste product accumulates on the skin to cause PK. 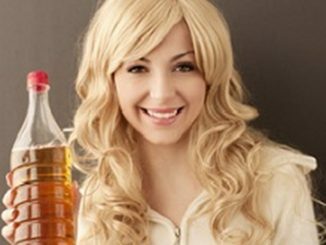 However, you should not panic if you have been using keratin shampoo; keratin accumulation can accumulation can only if there is overproduction of keratin in the body. Although chicken skin disorder is not a life-threatening condition, it is a very frustrating condition. First, many people confuse KP with dry skin or acne; it is different from acne and dry skin because KP bumps do not hurt and usually don`t itch. Many KP victims suffer low self-esteem. Summer is the best time of the year when you want to get out with your comfy blouses and boots. Unfortunately, KP tends to get worse during the winter season limiting your wardrobe choice during summer. I Have Chicken Skin on My Legs, How do I know if it is KP, Acne or Dry Skin? 1. Small red or white bumps on the affected parts such as legs, butts, cheeks or arms. 2. The affected parts are dry and rough and although rare, itchy. 3. The condition will appear to worsen during winter season. 4. At times, the bumps may appear inflamed and also cause scarring.